Yes, Its indeed… As humans are becoming very Costly/ Lazy/ Paranoid/ Phobia/ … What so ever. Microsoft have also took its stand on this sector. Ever since I have presented a paper on Neural networks and Fuzzy logic in my graduation, I had liking towards this Robotics. 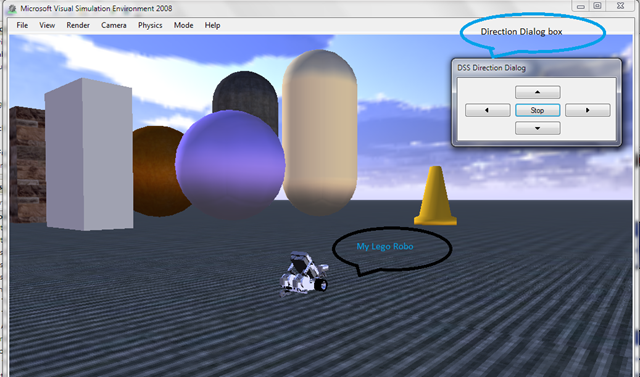 I have started learning this Robotics studio development and the Visual Programming language 2008 R3. This is real exiting. Usually I don’t get coffee on holidays in my home, yes, Its an holiday for my mom too. In the usual Sunday morning I woke up my mom and was asking for a cup of coffee. She didn’t respond. 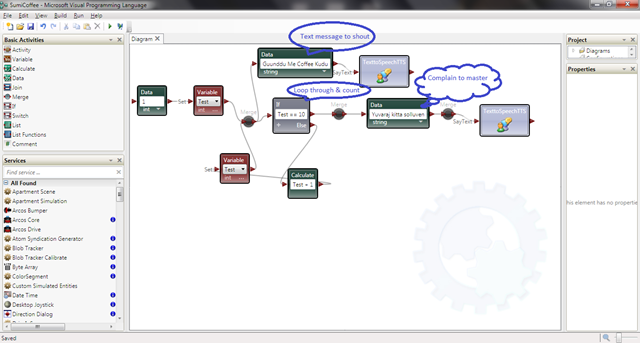 Then bored of asking her, I made up a VPL program and asked my robot to ask for a coffee instead of me. Here’s the code. Then also she didn’t respond, I have increased the looping count to 100 and the rest of the things you can imagine what could have happened. Now serious one, I have a huge set of simulation environment set up with my computer along with the package. Yes, of course this simulation environments runs based on Physics engine. And also your computer must be smart(Fast) enough to run those simulation environments. Lego robot is a simple educational robo from Mindstorms. You can program it through MSRDS. 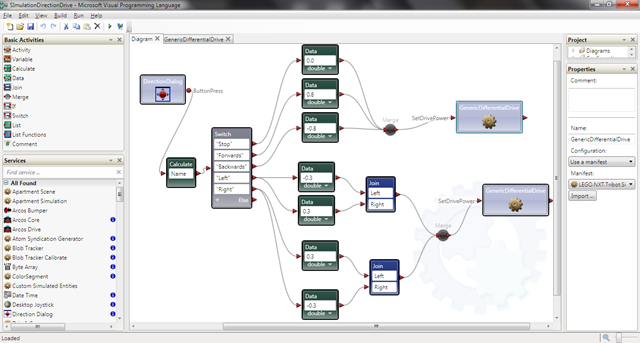 For test purpose, here’s the code which can be driven from your computer in the simulation environments provided. This code below, will move the robo left, right, forward and backwards. If you have the robo, and the respective joystick, here’s the same code which runs with joystick. Will be posting more cool robotics stuff, hang on and subscribe to the RSS feed.